Ordoro, a startup that builds software to help streamline the pesky tasks associated with selling and shipping online merchandise, has raised $1.2 million from a European investor and a group of angels. The two-year-old Austin, Texas-based company hopes to use the funding to expand its sales and marketing. I named Ordoro as one of the 10 Startups to meet at SXSW this year, and the reason was simple. There is a burgeoning culture of people making their living online selling physical goods. It may be the success of Etsy or even just a company that makes an original product that gains wide appeal online — but the Internet has made finding unique goods or items produced by small businesses and individuals even easier. But while the marketing channel has changed, fulfillment and distribution are still a labor intensive and dull prospect. That’s why Ordoro’s four founders decided to start the company back in June 2010 as a business school project at the University of Texas at Austin. 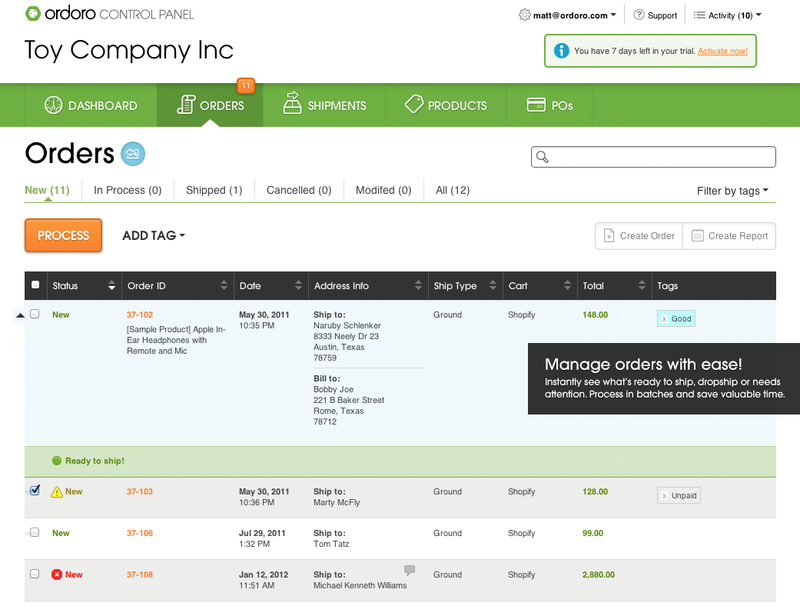 They worked for a year bootstrapping the company and creating the product which lets you see all your stores, print shipping labels and track orders all in one place. Last year Ordoro raised $600,000 in angel money. Now to get the business through the next 12 months and to continue growing, it raised the Series A round from those angels and Emerge.be, a Belgian company that invests in e-commerce providers. Ordoro competes with features in several big mailing software packages, but is designed to be lightweight, functional and drop-dead simple — it’s designed for the food trailer entrepreneur and app economy world. Great to see another Austin co. with a solid business model get funded. Best of luck, guys!